The pressure is on for Lot 66. The 60 day deadline given by the developer to come up with the money for Lot 66 has long passed. He has said he will now consider his options to recover his investment, i e placing Lot 66 on the open market or submit a revised subdivision application. once again under threat of development. A lot of people care about and work hard to make a difference within the community they live. This website has been created to give a forum for anyone who would like to share their thoughts and experiences in appreciation of the natural values of their particular area in the World Heritage Wet Tropics. Current policies on all levels of government still allow for destruction and fragmentation of rainforest that has and will have a lasting impact on World Heritage values. During economic booms we watch natural and rural areas disappear to development as a result of shortcomings in regulations, planning schemes, and local government priorities. For many people who have chosen to make North Queensland their home, the loss of the natural environment not only impacts on the biodiversity welfare of the now fragmented tropical rainforest, but to the very sense of place that is the foundation of community identity. Any input that may educate and inform to influence positive outcomes for the environment through reform in policies and plans on all levels of government is most welcome. Visitors are attracted to Mission Beach because of the long uncrowded beaches, relaxed village atmosphere, spectacular ocean and rainforest scenery and views, and nature experiences including having the best chance of seeing a Cassowary in the wild. Mission Beach has undergone a radical change during the last economic boom which coincided with the category 5 cyclone 'Larry' in March 2006. The landscape has been further altered by the Severe cyclone Yasi and subsequent 'cleanup'. Unprecedented development applications have been, and continue to be approved resulting in ad hoc development, threatening to destroy the very character that has attracted residents and visitors to a place once known as 'Mission Beach Magic'. 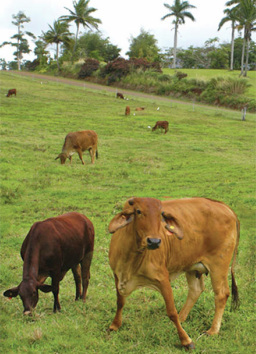 The natural landscape has been severely fragmented lessening the resilience of the rainforest to recover from extreme weather events such as cyclones. 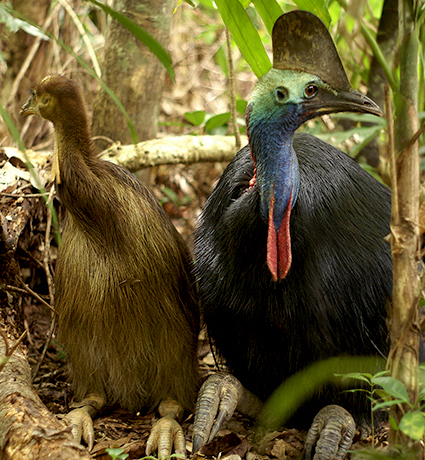 It has highlighted the shortcoming in policies on all levels of government to protect not only biodiversity integrity, but the main contributing factors to Mission Beach identity, the spectacular scenery of the rainforest growing down to the sea, farmland and the natural environment essential to the survival of the endangered Cassowary. 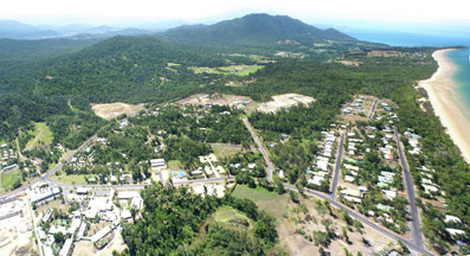 Rural land and rainforest separates the four villages along the Mission Beach coastline. The rural aspect of the area contributes greatly to local identity, tourist appeal and to the relaxed village atmosphere. It also allows for wildlife movement between the fragmented habitat in the landscape. 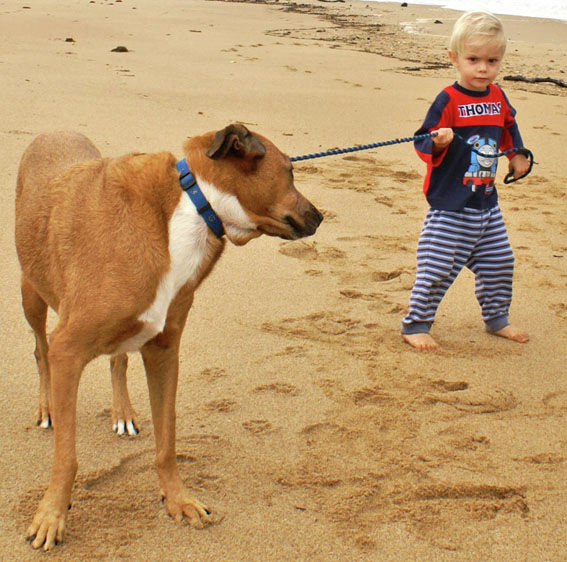 Mission Beach has some of the most idealic weather during the winter months when visitors to the area enjoy the beach, visiting off shsore islands and the reef or just relaxing in the friendly village atmosphere. Up to 5000 mm of rain can fall on Mission Beach each year and in the monsoon season cyclones are never very far away. 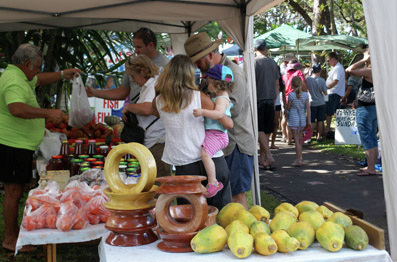 During the high rainfall and temperatures of the summer months, 'locals' experience a sense of community and lifestyle with an appreciation of life in the tropics. We can all make a difference by taking a sensitive approach when managing both private and public land. Each of us can be aware of the impact we may have on the natural environment such as the placing of house footprint, inadvertently spreading weeds from our exotic gardens, making tracks through natural areas, clearing for views and the keeping of pets. Planting natives will help to maintain the look and appeal of a 'natural 'Mission Beach where the rich rainforest is the dominant and impressive feature growing right to the beach and is what visitors are seduced by from their first visit to our area. The 'clean-up' after cyclones, especially where heavy machinery is used, results in natural areas being degraded or destroyed and then being maintained as cleared. The incremental loss of the natural environment is significant and permanent. All roads at Mission Beach travel through cassowary habitat. 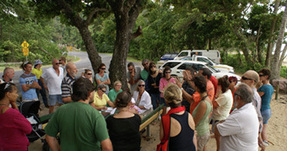 Locals can lead the way by driving carefully through forested areas and being on the watchout for cassowaries. At Mission Beach we still have the opportunity to 'have our cake and eat it too', but only if smart decisions are made now. 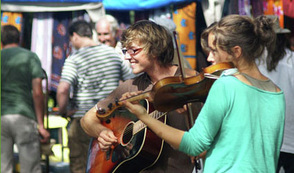 To quote the Pacific Area Travel Association...."The key phrase to planning should be residents first, tourists second. It sounds contradictory but it is the best kind of tourist development. It's the best, most secure, the longest lasting, and the most profitable" (in other words - sustainable) "The best visitor experience is to share for a moment a unique countryside and an enviable lifestyle"
lifestyle that can withstand the long 'off tourist season' by supporting local producers and businesses. Food miles are becoming a major consideration for both producers and consumers, we are also excellently placed for self sufficiency as a farmers market area - adding to tourist appeal. Farm Tourism is set to become a new low impact tourism industry at Mission Beach. Please note that the images here in are protected by Australian and international copyright laws, and any misuse or unauthorised reproduction will result in legal action. No part of this site may be distributed, reproduced, and / or copied for any commercial purpose or pursuit of financial gain without the express written consent of the author. 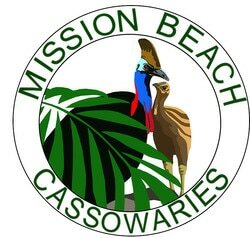 intellectual property rights in relation to this website are reserved and owned by the author publishing as missionbeachcassowaries branding + design.